I entered this poem in the Wergle Flomp Humor Poetry contest in 2017. I didn’t win anything, but at least I gave it a shot. Turns out none of the contest-winning poems are ever actually funny. Go figure. ‘Twas the Legend of Slingy Parloo! There’s a Pooker on My Pillow- Published! I am extremely excited to announce that my first pet-related children's book has been published! 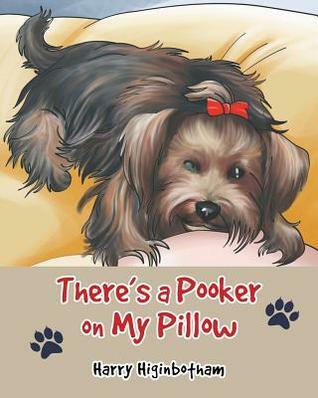 It's called There's a Pooker on My Pillow, and it's about our little Yorkie, Chloe, a.k.a. Pooker. Also Pookie. And Pook. It tells how we adopted her from a rescue shelter, detailing how she went from terrible abuse at a puppy mill to being left in the forest alone for a week in the rain, finally rescued, adopted by my wife and me, and how she has changed from a scaredy-pup into a happy, well-adjusted little fluffy ball of sunshine! It also teaches kids the importance of adopting shelter/rescue pets. It's written in rhyme with fun full-color illustrations. You can check it out here: There's a Pooker on My Pillow Page. It includes links to buy either the e-book or paperback. I plan to write more books about our other pets and each of their unique stories as well.